The perfect finishing touch to every home, our clock collection offers a wide range of styles, sizes, colours and finishes to suit every interior. We’ve used our 34 years of watch and clocks expertise to bring together an outstanding and varied collection of clocks to buy online. Our expertise and Customer Promise means you can be certain of exceptional products and exceptional service. 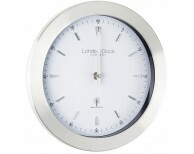 Buying clocks online was never easier! 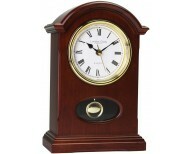 We also have a selection on show in our Birmingham clocks showroom in the historic Jewellery Quarter. 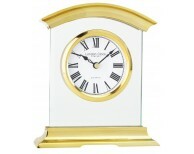 We have a very large range of mantle clocks in classic and contemporary styles. 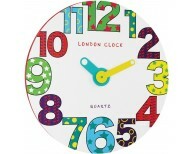 Mantel clocks are increasingly used in a home to add an accent of colour or styling to the room. Some are even dramatic featured pieces with bold colours. 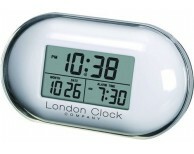 Many also offer an hourly chime or alarm function. In a similar way our wall clocks range can be used purely as functional timepieces or as fashion statements in any home or commercial environment. 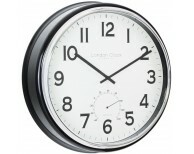 We have very large wall clocks as feature pieces, and a range of radio controlled clocks with the extra function of highly accurate time keeping. 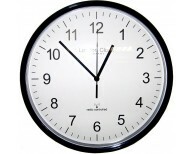 These clocks are also used in offices to ease the maintenance time during British summer/winter changeover. For quantity commercial price structures please don’t hesitate to contact us. 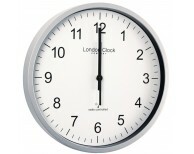 Our office clocks are regularly supplied to councils, hospitals and businesses of all sizes, that require reliable easy to read clocks. Many are supplied as part of the design specification for energy efficient new buildings. If you have questions about the range or our after sales service, we are only too happy to answer them. 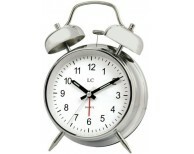 Our alarm clocks range from the classic instantly recognisable quartz metal twin bell, to the modern digital clock with added solar power energy saving feature. 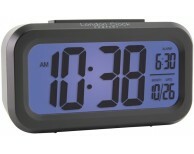 Particularly popular are the extra large digital alarms with auto night light. We now have a range of “water resistant” clocks that are great as either feature outdoor clocks or for swimming pool rooms and sports halls. Most of these have a thermometer guage on the dial. 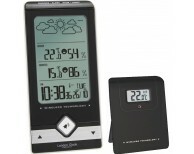 For more weather functions we have both the classic Thermometer/Barometer/Hygrometer items and the modern digital complete weather stations. 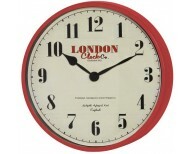 If you are looking to buy clocks online, sit back and make your choice from our range of clocks especially selected by our expert team.